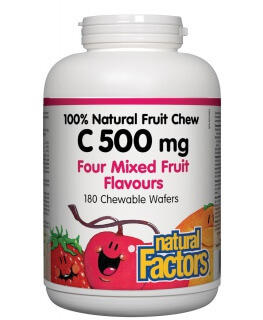 Vitamin C, a water soluble antioxidant, plays an important role in the formation of collagen, bone and teeth health. It protects our body from harmful oxidation and supports healthy immune system. Besides, it also prevents our LDL cholesterol from oxidation and helps to regenerate vitamin E.
Vitamin C is an important micronutrient to our body because of its role in promoting wound healing, collagen formation, bone and teeth health. As a potent antioxidant, it provides protection against free radicals damage and protects our LDL cholesterol from oxidation. Our body needs more vitamin C during times of stress and sickness to produce norepinephrine, a stress hormone needed for the “fight or flight” response. 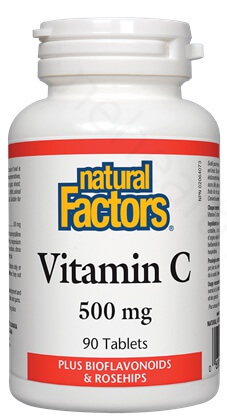 Vitamin C also acts as a detoxifier by cleansing and removing all the toxins and waste materials from our body. 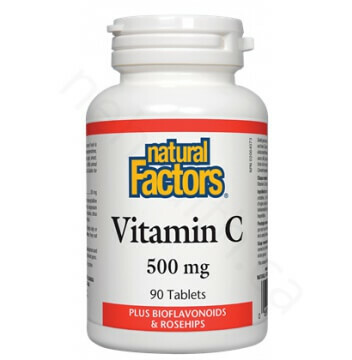 Natural Factors Vitamin C is a powerful antioxidant combined with bioflavonoids, rutin, rosehips and hesperidin for enhanced absorption. Non-medicinal Ingredients: Microcrystalline cellulose, stearic acid, vegetable grade magnesium stearate (lubricant), croscarmellose sodium, citrus bioflavonoids, rutin, rosehips, hesperidin. 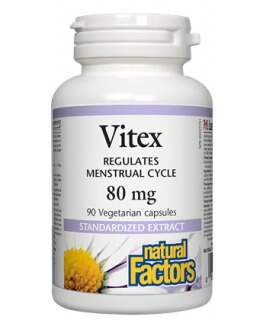 1-3 tablets daily or as directed by a health care practitioner. Keep out of reach of children. * Children: Not recommended for children.